Start a free trial to unlock these benefits! Got questions? Poll your guests to get answers to your pressing event-related questions. More than one person planning your event? 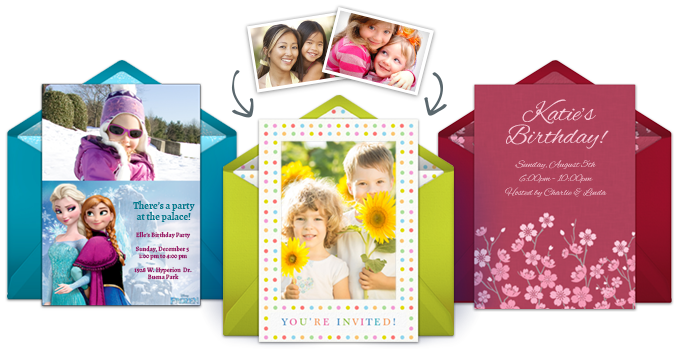 A co-host can do everything the host can do including edit and send invitations, add guests, and more. Easily manage weekly or monthly events! 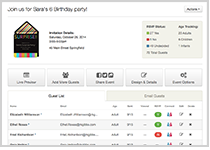 Create a schedule and we'll automatically send out the invitations for your recurring events. With a Platinum membership, display ads are removed from the site for you and your recipients. 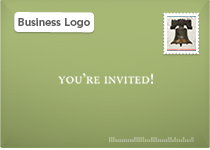 Customize your envelopes by uploading your logo to use as the return address label. Planning a very large event? Upgrade to our highest level membership to send invites to everyone on your list. Please note, your event must comply with our Terms of Service. Become a member — start your free trial today! You may cancel your trial at any time during the first 7 days without being charged. If you're not completely satisfied with your membership, let us know within 30 days and we'll refund your money – no questions asked.